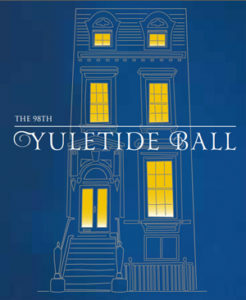 Brooklyn Kindergarten Society’s Yuletide Ball raises significant funds for educational programs, enrichment activities, and family support services that are transformative for BKS children and their families. The annual event is also the cornerstone of the Brooklyn holiday calendar, and is attended by more than 900 residents of Brownstone Brooklyn. Your sponsorship of the Yuletide Ball is an investment in Brooklyn’s children that connects your business to the Brownstone Brooklyn community. If interested in Sponsorship or Journal Ad opportunities for 2018 Yuletide please contact Ashley Brown at abrown@bksny.org.